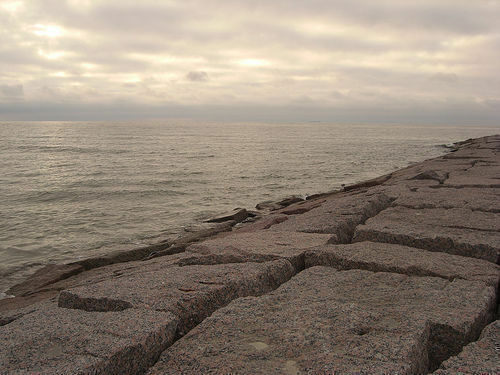 In December 2007, my fiance and I travelled to Galveston, Texas. It was a fourteen hour Greyhound bus trip each way, but it was well worth it. In the bus stations, there were amazing environments for sociological observations, but that’s another topic entirely. We left early on Saturday, December 16th. It was quiet on the bus, which gave us time to talk and write. We arrived around five o’clock that evening and took a cab to our hotel, the Comfort Suites. The price was reasonable and the staff were pleasant and unobtrusive. Amenities included: cable, air conditioning, and an in-room refrigerator. The room was furnished with: two nightstands, three lamps, a dresser, a California king bed, a table, and four chairs. The bathroom was clean, as was the rest of the room, and the linens smelled like fresh laundry. It was spacious and we could see the ocean from our balcony. 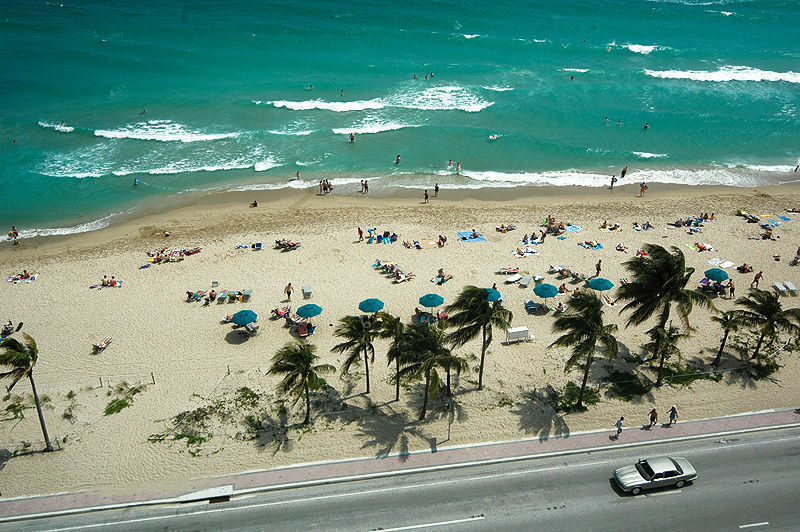 Saltwater penetrated the air and the hotel room always smelled pleasantly like the beach. I have travelled to many places, and this is one of the best hotels I’ve ever stayed in. Our second night, we ate at Tortuga, a Mexican restaurant diagonal from the hotel. They had good food and courteous service. The theme was Tex-Mex, and although it was good, it wasn’t very different from any other Tex-Mex restaurant. Another day we ate lunch at Landry’s, also on Seawall. It was the middle of the afternoon and there were very few customers. The food was good, but quite expensive and our waiter, Oscar, was very rude. I ordered the shrimp and when I accidentally spilled cocktail sauce on the crisp, white tablecloth, he immediately ran to the table and tried to scrape the stain away before it could soak into the fabric. This made us laugh, but we felt unwelcomed. I recommend wearing a suit and tie or cocktail dress if you want good service. Some days, we simply walked through the quiet residential areas of the city, admiring the architecture of churches and public buildings. We weren’t interested in the tourist activities. Instead, we wanted to get in touch with the local culture and to understand the happiness and sorrow of its inhabitants. I’d like to believe we succeeded. Friday night, after all the people left the beach, we made our way down to the sand. Quiet and dark, it seemed the ocean welcomed us. I swam against the tides, and allowed them to guide me back to shore. We spent hours just walking down the beach, attempting to take pictures of the graffiti on the seawall. This graffiti was not hateful symbols or profanity painted by bored teenagers. It was art! Many people had spent many hours painting the creative images against the white wall. It was a trademark of Galveston that the local people were proud of. Saturday, we packed our bags and made our way back to the ocean. We sat on one of the rock piers jutting into the water and admired the beauty once again. We didn’t want to leave; to return to our small town. If we could’ve found a way to stay forever, we would have. We caught a cab to the bus station and departed on Saturday afternoon. We arrived back to our home at eight o’clock the next morning. In some ways, we never really left. When we heard the city had been destroyed, we were pained. And although we know they are rebuilding it, we feel we will never be able to visit the Galveston we hold in our hearts. Nevertheless, I’m sure we will retreat there again as we age. Galveston made us softer, kinder. We are better people for having visited it. If there is one piece of advice I can give, it would be this: Soak in the culture. Let it take you in and you will know the true meaning of a vacation.